Vitamin C isn't just "the orange juice vitamin." You can get it from many non-citrus fruit sources and from vegetables too, easily reaching the daily U.S. Adequate Intake (U.S. AI) of 90 mg vitamin C for adult men ages 19 to 50 and 75 mg for adult women. Remember to eat veggies raw whenever possible or cook in only a little water, as water leaches vitamins out of food. Bell peppers are great sources of vitamin C. A 1/2 cup raw red bell pepper contains 95 mg. 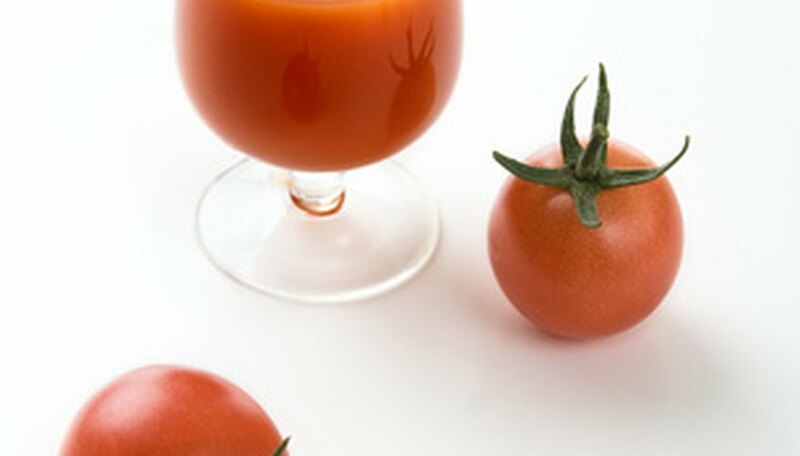 The same amount of green bell pepper has 45 mg vitamin C.
By drinking a 1/3 cup portion of tomato juice, you get 35 mg of vitamin C. You'll get 10 mg vitamin C per 100 gram serving of raw tomato. Take 1/2 cup of cabbage leaves out of your freezer, and boil them for dinner; that's 25 mg of vitamin C right there. Eat a cup of chopped raw cabbage--about 89 grams--and you'll get 32.6 mg vitamin C.
Kohlrabi contains 15.1 mg vitamin C per ounce boiled and 17.4 mg per ounce raw. An ounce of chopped raw broccoli contains 25 mg of vitamin C. Boil that same ounce and the vitamin C content drops to 18.2 mg.
An ounce of raw spinach has 7.9 mg of vitamin C. Boil it and it drops to 2.7 mg. Even starchy potatoes can help you get your daily U.S. AI of vitamin C. You'll consume 25 mg if you bake one with the skin on and eat every bit. One medium-sized guava contains 165 mg of vitamin C. Papayas are also a good source, containing 95 mg in a medium-sized fruit. And one medium mango has 30 mg vitamin C.
A kiwifruit is a vitamin C star. Green ones contain 98 mg per 100 grams, and yellow ones contain 120 to 180 mg in the same amount of fruit. Given their ratio of vitamin C to calories, kiwi are considered to be exceptional sources of vitamin C.
They're sweet enough for dessert, but berries deliver sufficient vitamin C to justify the calories. Half a cup of strawberries contain 50 mg; 100 grams of raspberries, between 23 and 32 mg; 100 grams of red currants, 58 to 81 mg; and 100 grams of black currants, 155 to 215 mg. Even the blackberry contributes a little vitamin C to your diet: 6 mg per 100 grams. Melons are good sources of vitamin C, too. Half a cup of cantaloupe contain 35 mg. There's 25 mg vitamin C in 100 grams of honeydew melon and 10 mg in a 100 grams of watermelon. Even apples have a little vitamin C: 6 mg per 100 grams of fruit. Crabapples have 8 mg per 100 grams.